Sitting at a conventional work space on a daily basis can not only be detrimental to your physical health in terms of weight gain and lack of circulation but there is also a likelihood that it may have negative effects on your back and general posterior; and where’s the fun in staggering around the office resembling the long lost, slightly more downtrodden twin of the Hunchback of Notre Dame? That is where Standing Desks come in, they have been proven to help relieve back pain in users. Let me tell you. There’s no fun in it; no fun in it at all. So should you want to banish the risk of stuttering about your chores at a perfect right-angle, then the following advice should be heeded, and heeded well. Standing Desks have proven time and again to relieve back pain from its users. Have you tried one? Of course while you are sitting down working frantically at your keyboard in order to meet the demands of the hierarchy, you tend to pay little attention to your physical state of being. You have a task to do and lord have mercy should deadlines not be met. However, while dotting the proverbial I’s and crossing the T’s, your vertebrae is being stretched in all manner of unnatural ways – your poor back bone is being bent, twisted and torn, all of which you appear to be oblivious to as you thunder out a hurried paragraph on the deterioration of the Greek economy, or a new marketing strategy which you aim to spearhead. Whatever your situation, help with any back pain you may currently or potentially suffer may all be eradicated if you chose to adopt a standing approach in the workplace. Standing Desks have been medically proven to reduce the risk of back problems significantly. Not only do they promote keeping a straight back but standing while you are working is an excellent way to focus on posture which in turn adds to core strength. Users of an Adjustable Standing Desk will also find that it may be beneficial to any previous back pains which they have suffered with. By standing up the vertebrae can be felt to unravel, so to speak, and an immediate release of pressure can be felt. Remaining this way throughout the day will see you and your back in fine fettle as you go about your daily office duties. As well as reducing the threat of muscular aches and pains, using the standing desk can also have the benefit of forming new muscle in your legs and back deeming you the new office Rambo – he who has the stamina and the strength to stand while working. You will soon become the envy of the workplace as you effortless glide through the day at your health friendly new work station. By standing up and completing your tasks you will find that you soon, after several weeks of adapting to the world of the Standing Desk, become a lot fitter as your back and legs become stronger and less and less stressed with the daily grind. Sitting down while working will soon be at the very back of your mind as your physical and mental strength grow and grow as you watch your chair-dependent colleagues fall by the wayside. The alleviation and reduction of the risk of back pains are just another reason among the myriad for why a Standing Desk should be considered. Think of your new desk as gym apparatus, a piece of equipment which allows you to maintain back strength, lose weight and keep blood circulation to a maximum. 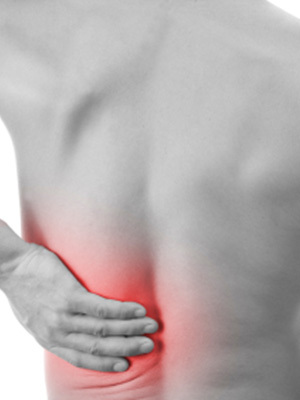 Straightening the back is also a good way to lessen back pain. Two hours is the ideal amount in sitting in the office chair.